Jared Hamby managed to pull off an impressive comeback in the $1,500 No Limit Hold’em event to win his first WSOP gold bracelet and Steve Gross has won his first as well after taking down the $5,000 Pot Limit Omaha Six-Max event. In the end Hamby’s strategy certainly paid off and he took home a massive $525,272 pot. 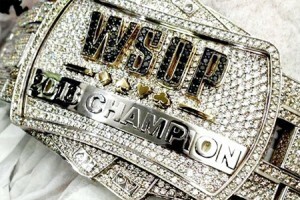 Gross overcame a field of 400 players to win his event, eventually defeating Salman Behbehani in heads-up play. As well as winning his first bracelet, Gross also took home $488,817 for his efforts. In the meantime there are just 11 players left from a field of 2,100 in the $1,000 No Limit Hold’em Event. Chris Demaci has the chip lead with almost 600,000 in chips and is hoping to win his first career bracelet.